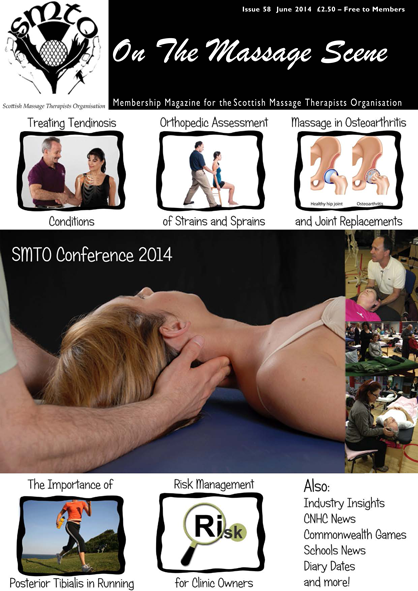 'On The Massage Scene (OTMS)' is the SMTO e-magazine with each issue covering a wide range of themes. There are three issues per year: February, June and October. Each issue contains news & views, articles of interest for all, especially those involved in Swedish Massage, Remedial & Sports Massage, Advanced Remedial Massage, Manipulative Therapy, Clinical Aromatherapy, On-Site Massage and Reflexology. News of up and coming events/seminars/workshops are also advertised. It is now possible to subscribe ONLINE on an annual basis to OTMS. For only £10 per year you will have access to 3 new issues every February, June and October, as well as back issues. Click here to subscribe to our online magazine . Alternatively, you can download, print off and post a subscription request here . Members who wish to read back issues of the magazine should log in via the 'SMTO Member Login' button and then click on 'OTMS magazines' on the right hand side of the webpage. You will then be able to download past issues of the e-magazine.